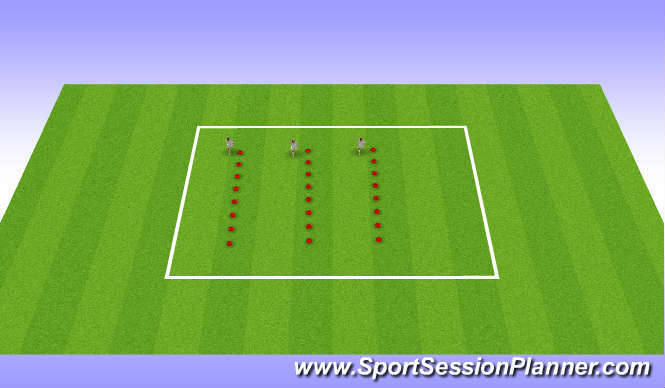 2 groups lined up behind cones, players to sprint around the cones, planting feet in order to change direction quickly. 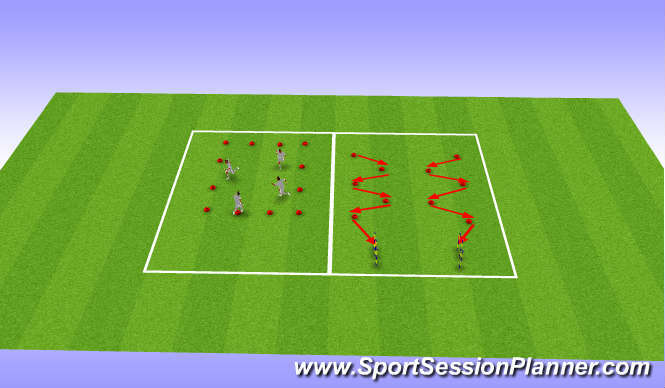 Change direction 5 times before sprinting 10 yards, and weaving around 3 poles 1 yard apart. - Long distance directional changes + short distance changes. 3 sets on each group of cones before swapping over.Teams competed against each other for last 2 sets.